Sean of OookWorks offered to make a sample stuff sack for me in cuben fibre. I asked him to make one for my Scarp. The result is shown above. 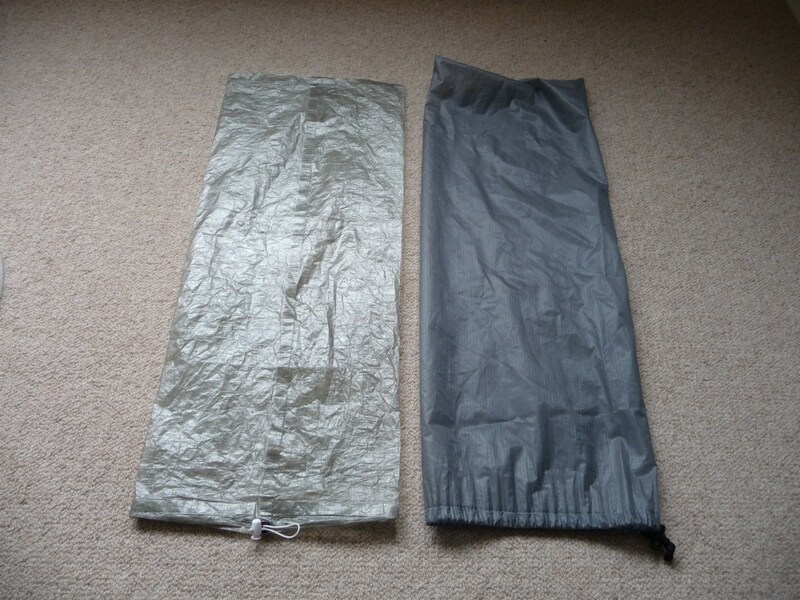 On the left is the cuben sack, on the right is the silnylon stuff sack supplied with the tent. It’s my first experience of cuben. It feels almost like tissue paper but very strong. I blew into it and twisted the top to see whether it was airtight (as a proxy for watertight) and it is. The weight is an incredible 9g vs. 18g for the silnylon sack. The workmanship is superb. The seams are perfection and absolutely square. Sean will be introducing a bespoke stuff sack service soon. I’m thinking of getting a cuben pack liner and a medium-sized dry bag. My current combo weighs 198g, so I should be able to knock a substantial chunk off the weight. I now have two pieces of gear made by Sean, the stuff sack and the Duomid inner. I’m very impressed with the workmanship and care that he has put into these. Not only are the products good, he’s very diligent with feedback. I sent the inner back for a few tweaks. They really have made a difference. It’s great to have a UK bespoke lightweight gear maker. I shall certainly be ordering some more. We are brewing up a lighter Duomid inner, but it will have to wait for a while until Sean can find some lighter weight inner fabric. They look very interesting Robin, I have a couple of questions questions, the first is how much? The second, is have you asked Sean about the possibility of producing a stuff sack with an eVent base? I’ve found the Pod Sac’s with an eVent base are much easier to compress when used with sleeping bags or spare clothes. I can’t give you a price as Sean has only charged me for materials. He should have something on his website soon. 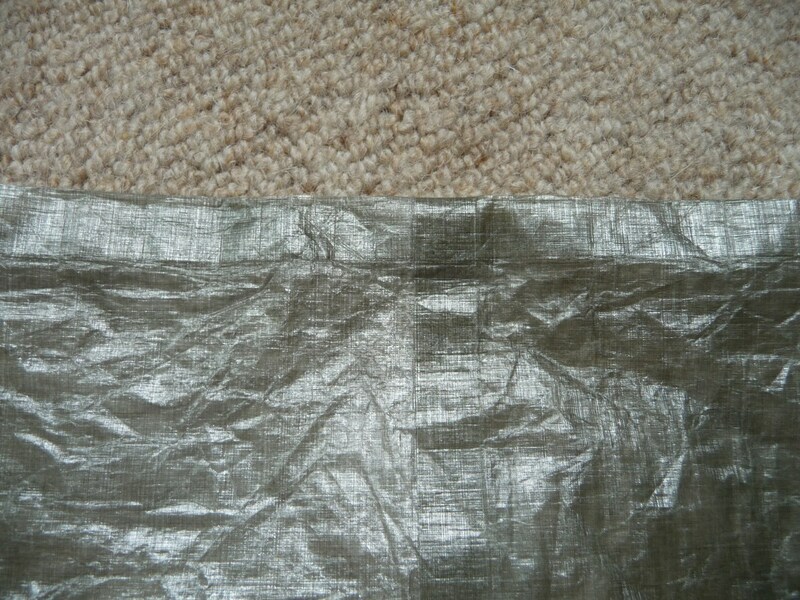 Cuben is not cheap! I also have a Pod sack with an eVent base for my sleeping bag. You could email Sean to see whether he can make one. I suspect sourcing eVent material might be an issue. Think there could be a good market for custom made stuff sacks (though maybe depending upon the price). Over the years I’ve tried different options for some of my tents. The trouble is, the bags provided with most tents I’ve seen are way too large and I prefer something a bit more compact. Sean will do silnylon sacks as well. Drop him a message on his website. It’s a good start Robin and Sean. 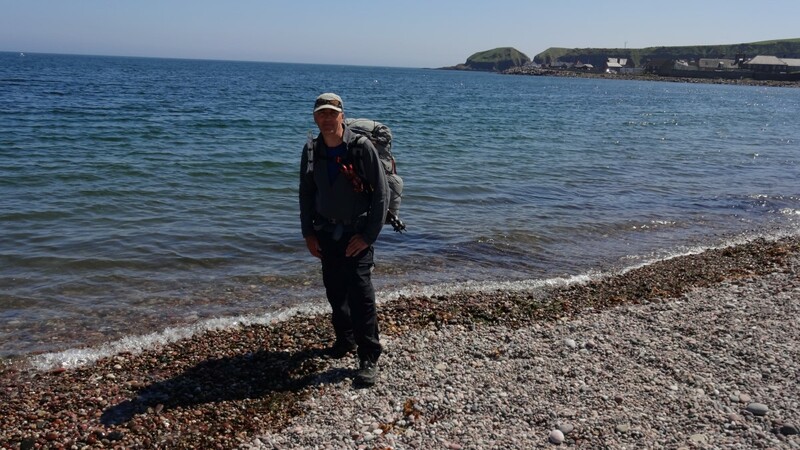 I agree with Phil that there will be a market for stuff sacks, dry bags, tent bags and the like. We all know cuben isn’t cheap but there’s not a lot of other options as far as i can see. I will look forward to seeing items on Oookworks web site. A cuben jacket next then? Excellent. I’m in the market for some cuben dry bags and stuff sacks and didn’t want to go to the US to source them. So how much money does it cost to save less weight than a single after eight mint?? I reckon it’d be too much money for me to go replacing the sylnylon stuff I’ve already got for not a great deal of weight savings. If I was however on the hunt for new stuff sacs though I’d jump at these maybe. I’ve still got my eyes on a half size bathtub for my Golite SL3 from Sean when funds allow. I must say though, it is great to see a cottage manufacturer from this side of the pond have a proper go at making a business from making these sorts of products. I wish him all the best and I suspect he will be relieving me of some hard earned in the not too distant future. Replacing siylon with cuben might be marginal (although it is more waterproof), but replacing ordinary PU coated nylon mmight be attractive.